Due to energy limitation of sensor nodes, the conventional security algorithms with high computation complexity are not suitable for wireless sensor networks (WSNs). 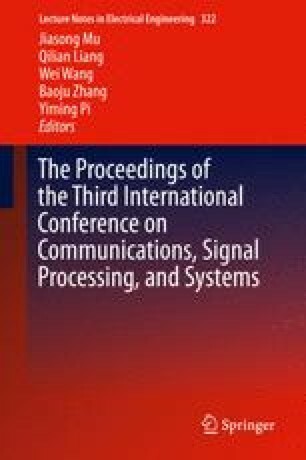 We propose a compressive sensing-based encryption for WSNs, which provides both signal compression and encryption guarantees, without introducing additional computational cost of a separate encryption protocol. In this paper, we also discuss the information-theoretical and computational secrecy of compressive sensing algorithm. For proposed WSN, if only a fraction of randomizer bits is stored by an eavesdropper, then the probability that he/she cannot obtain any information about the plaintext approaches zero. Simulation results show a trade-off can be made between the sparsity of a random measurement matrix and the number of sensor nodes used to reconstruct the original signal at the fusion center. This work was supported in part by U.S. Office of Naval Research under Grants N00014-13-1-0043, N00014-11-1-0071, N00014-11-1-0865, and U.S. National Science Foundation under Grants CNS-1247848, CNS-1116749, CNS-0964713.